I climb, love cats, and lived in my car for 2 years with my husband while running the travelblog theneverendingweekend! We found an awesome spot along Marlow Creek Road, about 4 miles into the forest (coming in from Allegeny). There are plenty of pull outs all along the way, with room for 2-3 cars, as well as full tents and chairs set up. The road follows a babbling creek which was amazing to sleep next to. There are no amenities, follow any postings about campfire restrictions. (When we went- no fires were allowed). This is a logging forest, so we had huge logging trucks roll by in the morning - because of this, it may not be the best spot for kids or off leashed dogs. The trucks went by very quickly, stirring up a lot of dust- keep your car windows shut and use a pot while cooking breakfast! We had very few mosquitos or bugs, and loved being encompassed by the mossy trees! As a Ranger, I occasionally get the chance to test out gear in the field. I was really excited about trying out this pack, as I do a lot of canyoneering, and dealing with waterproof bags inside of soggy backpacks is always a hassle. Or you have to figure out a way to secure a typical waterproof bag to you. The bag is made of a lightweight rainjacket-like material, and has a roll top to it’s main compartment. I took the bag on a 3 mile hike to some waterfalls, where I could test out it’s waterproofness. At home, I went to a nearby lake to try submerging it. This bag was extremely light, small and pack-able! You have no reason NOT to bring it with you if you may be heading somewhere wet. It folds into a small drawstring about the size of a baseball. This bag has separate storage compartments whereas most drybags are a long tube where everything falls to the bottom. Within this bag, you have 2 water bottle holders (where I tossed things like keys), a easy access zip pocket on the front, as well as the small drawstring that the bag itself can be stored in (I put my packs of gummies in here for safe keeping). The bag does not have a chest strap, so there was the potential for the backpack to slip off if you were doing strenuous activity, it also didn’t sit perfectly comfortable because of this. It does however, have adjustable shoulder straps (which I didn’t see as necessary). I was nervous about putting my 1 L Nalgene bottles into the water bottle pockets because of the material of the bag…with just 1, it made the bag extremely lopsided, or with 2, it seemed to put a lot of stress on the bag itself. I tossed my water inside the bag instead, which made it pretty lumpy since the packable bag doesn’t have structure. The front pocket is as advertised, water resistant, but definitely did not pass the waterproof test when I submerged the bag. It’s OK for waterfall mist or a light rain, but I wouldn’t keep my phone in there if we were getting dunked! If this bag had the chest strap, I’d be in 100% for using it for canyoneering adventures, however- since it doesn’t seem made for more rugged situations, I’m not sure why you would need such a waterproof bag. Most daypacks nowadays come with a raincover, or are made of a water resistant material to keep your goodies from getting soaked - unless you are planning a very casual dayhike where you are literally walking under waterfalls, I would most likely invest in a different daypack solution.. This campground is about 11 miles south of Moab, and one of the only FREE places in camp in the area. There are no amenities (with the exception of occasional fire pits), but plenty of space for campers, large RVs, tents, etc. We were fine with a 2WD car. When you drive in, make sure you are far enough to be in the designated camping area (0.6) miles from the mail road (past the cattle guard). There are several options once you pull in, (the road splits 3 ways), all are good! The one furthest to the left has a little shade and goes up a slight canyon where we saw some people using hammocks. We camped here for 3 days during our stay in Moab, with three cars and about 8 people and had no issues finding a spot. We set up tents in a slightly "grassy" patch. There is little shade. We packed up every night and did not leave our stuff while we were gone, however- other people did, and had no issues with theft. As a Ranger, I occasionally get the chance to test out gear for The Dyrt! I collected water from a slightly moving canyon stream along one of our hikes in a canyon, and brought it back to camp to filter. I usually do this when filtering water rather than filtering at the source (I've dropped too many things, and it's hard balancing along muddy creekbeds). What I loved about the Renogy Water Filter, was it's size. It's nice and small and comes with a little carrying case. It was pretty easy to put together (via the photograph/instruction card). I pumped a liter of water in about 2 minutes with set up and balancing. My arm didn't get tired at all, and I could have easily done another 2 L! It was also awesome that the intake tube is so long - for when you are collecting at the source, you have a little more leeway with your set up. I only ran into one problem - my output tube popped out of the clean water nalgene and landed on the ground once, thankfully it didn't get muddy or gross. A couple cons about the filter include the carrying case and tube storage. It's suede, which is aesthetic and nice, but possibly not the most durable or waterproof for long backpacking trips. Also- all filters I've had in the past came with baggies to keep your intake and output tubes separate to prevent cross contamination. This filter didn't stress that at all, but I brought my own baggies just to be safe. Final conclusion - This filter is a nice size for backpacking and easy to use. I'll be taking it on all my trips this summer, but might find a different carrying case for it. This campsite is located among some of the most beautiful landscapes. On your way in, you drive past fancy homes until the road becomes dirt. You then enter the National Forest where dispersed camping is permitted in designated sites. Otherwise, at the end of the road, you will reach the Signal Peak trail, as well as the Paid Oak Creek Campground (with amenities). We camped at site 1, which had a huge red sandstone rock outcropping behind it. In the morning, we scrambled up to the top and found anchors for climbing. I highly recommend hiking around the site, as you can find some 360 views from high points. There was a fire pit at this site, as well as trees/plants/scrub. Road is suitable for 2 WD cards, but large campers might have some issues with tight turns. Reviewing this Cotopaxi bag was the highlight of our trip and I highly recommend EVERYONE to go out and get one. We beyond abused it, tossing it to each other while scrambling, squeezing through slot canyons, bushwacking through desert brush…. And after 10 days of extreme usage, it still looks brand new. I’ve never had a top loading/sack style backpack before, so I was a little weary, but you just have to compartmentalize your gear (camera sack, snack sack, etc). It made me slightly more organized in the long run. One of my favorite things about the pack is hot comfortable it is. I tend to be a fanny pack lady as anytime I wear a backpack, I get achy and sore really quick, and my shoulders hurt. The way the straps on the Cotopaxi distributed weight was incredible. I was able to carry my camera and 2 L of water with no pain. Additionally we used it for climbing, and with the chest strap and waist strap, were able to keep is secure and flush to the body during weird motions. I also loved the fun colors and how light it is – we are excited to pack it for longer backpacking trips as a “summit pack”. Additionally, my husband and I are tall/long torsoed people who tend to struggle to find daypacks as “one size fits all” isn’t usually true. This bag fit both of us well without having to extend the straps to their extent, or wear it super high like a turtle. La Verkin Overlook is free dispursed BLM camping between Hurricaine and Zion NP. It has zero amenities, with the exception of the occasional firepit. Tons of RVs were parked in this area as well as a bunch of tiny houses! It was super cool to check them out! The road could definitely be rough when wet (the super slippery muddy kind of road), but when it’s dry, we were able to get our 2 WD Pontiac vibe in there. You can hear the highway from this site, and cars are on the road all night. The 360 views are great from this site, plus it gives you quick access to the National Park, as well as quick access to La Verkin which has gas, grocery, etc. As a Ranger, I occasionally get the chance to review gear for The Dyrt. La Verkin Overlook was THE PLACE to review these, as we did a HUGE adventure climb in Zion. OOFOS shoes are all about recovery, and my feet definitely needed recover after our 14 mile, desert bushwacking, 4000 ft of elevation gain, adventure of a time trying to climb West Temple. It was a LONG day on our feet and we pretty much limped back to the car. Sliding into my OOFOS slides was AMAZING. Seriously, it felt like my feet took a breath of fresh air. Honestly, I didn’t know what to expect from a “recovery” shoe, but it was like walking on clouds. I also love the color and design. Looking at them online, I expected them to look a little tacky, but wearing them, they looked cute. My one comment is that they do run small. I am typically an 8/8.5, however the site said that if you wear a half size, you should order up. I picked a size 9 and while my footprint fit the size of the base, the actual strap is extremely snug – to the point of where I really have to squish my foot forward. But maybe I just have “tall/fat” feet? Once they are on though, they’re not slipping off or around and I was able to walk around camp rather than shuffle. The downside is that wearing them as camp shoes with socks is out of the picture. I also ordered a flip flop version- and have no issues size wise with them (also a size 9), so if you think you have "fat" feet - that might be the better shoe. I would definitely recommend a pair for anyone who has long days on their feet! 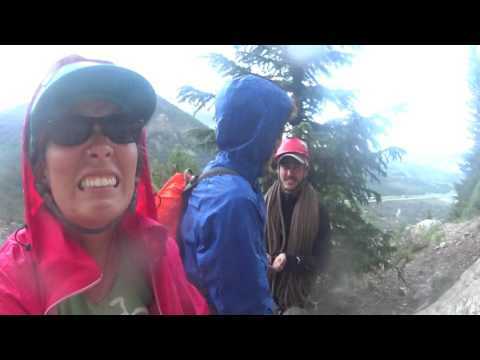 The next day, I was ready for more hiking while my husband limped behind me. Mexican Hat is free dispursed camping on BLM land outside of the town of Mexican Hat Utah. There are sites available for RVs, tents, vans, etc. This is desert dispursed camping so there are NO amenities, however there are occasional camper made fire pits. We made it into a site with a 2WD Pontaic Vibe with no issues, although we did watch a couple campers struggle to find a place to turn around. This is hot sunny camping with no shade opportunities, so it warms up fast in the summer. This is some of the best dark skies and quiet camping we had on our trip. During my 2 am pee, the milky way was out of control! This area is named for the geological feature that is the name-sake for the town, the Mexican Hat, an obvious toadstool like sandstone formation. Because it is here and you are camping below it, you will have passerbys swinging through to take photos or climb the feature (technical rope skills required). This site also gives you quick access to Monument Valley and Valley of the Gods. We were those crazy people climbing the Mexican Hat, and it was an ideal location to test out these walkie talkies. In climbing, communication is key and for a climb like the Mexican Hat where it is steep, overhung and roof like, the climber and belayer get separated. The walkie talkies came in hand! 1.) Battery life- we charged these up on their charging station at home before we left on our trip and they lasted the entire 10 day trip on regular use. This is extremely important to me, as it is my biggest bet peeve when electronics die in the moments you need them most. 2.) Intuitive usuage – We didn’t need to score through the manual to figure out how to use the walkie talkies. Everything made sense and was user friendly. 3.) EXTRELEMLY Clear Communication – These were crystal clear when using them, not at all like the static-y walkie talkies of childhood. Also, we had them hooked up to our harnesses (at waist level), and they picked up our words without having to yell into them, or unclip them to bring them to our mouth. 1.) There is no closed attachment potential. We couldn’t carabiner or string them to ourselves as there were no loops or holes of anykind. This meant that if at anytime during the climb, we dropped the device, it was going to be a goner. We managed by using a rubber band to “close” the clip (See photos), however this wasn’t ideal. Additionaly, the clip isn’t super strong, as I had the walkie talkied hooked to the strap of my backpack on our hike off and it popped off super easily when doing my pony tail. It does come with a headset, however, it needs to be plugged into the device (not wireless), so it doesn't solve any issues. A great product for casual hiking, but it might not be ideal for more extreme situations where it has the potential to fall off/get lost or damaged (rafting, climbing, skiing). We will most likely just try to keep them in a pack, rather than on our body in those cases. Stayed here one night on our way to Gila Cliff Dwellings. However… while we stayed here there was a lot of strange traffic. We are guessing drug deals? All night long cars would come and go, meet up but never actually stay. They also were not cars that looked like lost outdoorsmen. We used this as a site when rock climbing in Soccorro as it was right down the road! This campground was nice, lots of large trees and big sites. We had several neighbors,but it was not hard at all to find a place to ourselves. Unfortunately, while we were here, we had a twist of unexpected weather. We got hit with a TON of crazy wind which made our tent bend all the way to the ground. We ended up seeking shelter in our car. We woke up to a bunch of snow and decided to drive out… which was a bad idea. The roads were too slick with water and we ended up driving off the road! (See video) Thankfully the locals were nice and pulled us out! DO NOT ATTEMPT TO DRIVE HERE IN WET CONDITIONS! This review is for the boat in site at Arizona Hot Springs along the Colorado, just before Willow Beach. We camped here with about 4 other parties and had plenty of privacy. There is a pit toilet (BYO toiletpaper), and lots of level areas to camp. Be aware of the varying water levels! Tie up your boats and camp far back. Fellow campers told us that they had seen the water rise all the way to the main rock splitting the area. PERK! At night, you get the fabulous Arizona Hot Spring slot canyon all to yourself. When you are in the spring, you can see where others have brought candles that melted into the walls. Excellent star gazing,and we had no issues with critters! Sand Mountain is an awesome experience… however- this is not a quiet and peaceful desert camping trip. 90% of the folks visiting Sand Mountain are OHVs… all of whom like to drive their buggies up and down the dunes ALL night. We hiked the dunes in the evening when it was cooler, and had to make sure we flashed our headlights so that buggy drivers could see us. DO NOT HIKE without a light. It would be very dangerous. The campsites are scattered, don't drive too far off into the sand or you will get stuck. Stay close to the main road/compacted areas. The sand is decently flat to set up a tent. No hookups. Free entrance on Tuesdays and Wednesdays. Fees apply at all other times. We were able to get up most of the road in a weighed down Pontiac Vibe. Great basecamp for adventures. We accessed further down the road with our mountain bikes. Once camping area had a picnic table, most others were typical dispersed camping. There is a super cool mine in the area that you can explore! We stayed here one night, mostly for the showers, they were wet and amazing and beautiful. Campsites had the typical amenities, it was pretty crowded when we were there and from what we heard, they fill up a lot of the time. 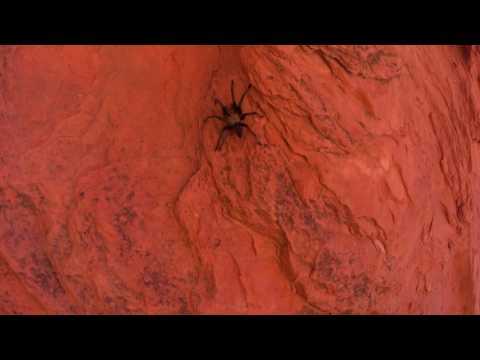 The park has tons of amazing hikes, when we visited, we saw a tarantula in real life! There is also free camping along the road about 30 minutes outside the park to the west. Near the beehive climbing area, there is free dispersed camping. We stayed here 2 nights, frost on the ground in the mornings. A short approach to climbing, about 15 minutes to the crag. We shared the crag with a outdoor school program. We ran into some hunters while camping here, but had no issues. Bears are present, please be vigilant with your food and smelly goods. Campsites are dispersed. Some have firepits and tent pads built. All accessible with a 2WD car. Amazing views, but still warm in September. Great climbing location also. It is extremely hot at the bottom of the canyon in July. Site had picnic tables and running water, as well as little posts to hand your packs on to keep the pesky squirrels out. Lots of wildlife, we saw deer, lizards and lots of squirrels. Shade under some trees… We took long naps here during the day. I recommend filling a stainless steel waterbottle with cold water to sleep with at night if you are having heat issues! During our stay here, we were on a budget and looking for dispursed camping locations. The nights were cold in late Oct, so we ended up sleeping in our car at this location. Amazing views. Great skies! No amenities, but you can wake up in the morning and easily start your adventure! We stayed here one night during our trip to Guadalupe. Bathrooms had running water and we were able to finally wash our dishes! Lots of wildlife, we saw a javelina and her babies cruise through the campsite. From the campground there are a multitude of trails that are easily accessible, and the campsite is not at all far from the visitor center or the main road. We loved the interpretive trail with info on all the native plant species (handicap accessible). We also saw some sheep while we where there! We stayed here 2 nights instead of staying inside the park. While it is free… it is exposed, windy and not that pretty. We ended up sleeping in our car both nights because it was too windy to set up our tent. Free (if you have the WA rec pass $30). Pit toilet is available, no water. BUT AMAZING access to climbing. We have been here 2 x now… staying for about 5 days in a row. It is a 4 minute approach to the nice moderate area called the Feathers and about 15 minutes from other climbs. A short drive down the road brings you to the Columbia River if you're lookiung to take a swim. Weekends get busy. Lots of rowdy Seattle climbers come out to party. Please take your trash. There is no trash service. Looking for a partner or beta?? Pay $2 and stay at the PIT! Reduce climber impact on the table lands and in the buttermilks. Sites are large and have picnic tables. Trash, recycling and pit toilets are available. No shade! Everytime I go to Bishop, I stay here!